What a great opportunity with two units and long standing tenants wanting to stay on. The property has the advantage of adding value to increase investment return. Owner keen to sell and looking for offers to negotiate with. One x two bedroom unit with modern kitchen and bathroom, one x one bedroom unit with single garage easy to convert into a two bedroom. All this on a landscaped Flat freehold 916sqm section, in a private location on Burwood Rd. 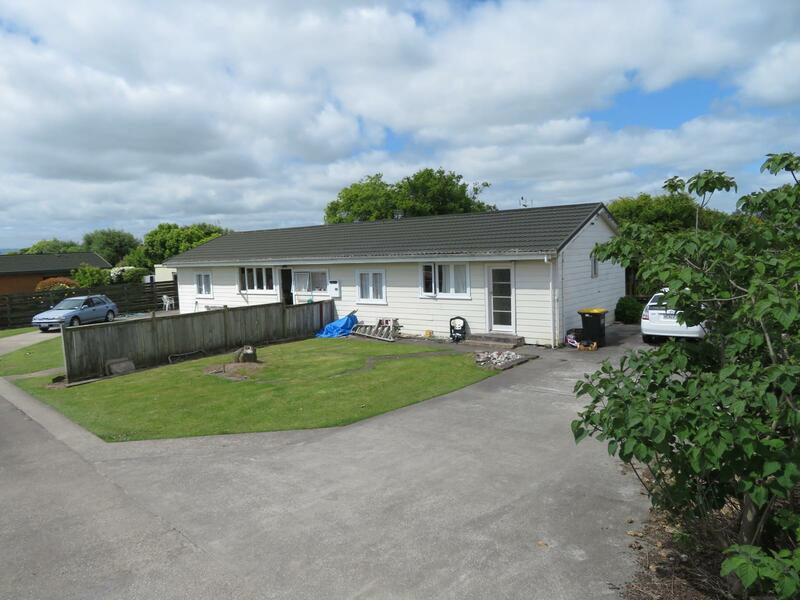 With a short walk to town, Reserves and Matamata primary this is an ideal investment with great prospects for the future. Make your viewing today and start the negotiations!